This is an interesting mountain located near Mt. Turnbull on the San Carlos Apache Reservation. 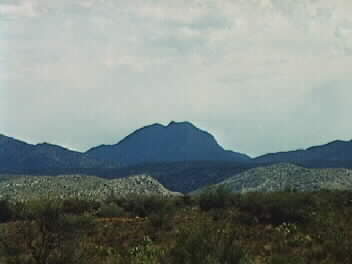 Nearby it passed the old Apache "Warriors Path" which reached into Mexico.